A federal judge officially rejected a request by lawyers representing the Lakewood Police Department and one of its K-9 units to reject a personal injury lawsuit related to a police dog attack that occurred June of 2010. According to The Seattle Times, U.S. District Judge Ronald Leighton in Tacoma said in his ruling that there is sufficient evidence to suggest that police officer James Skyler, who was involved in the alleged attack, used excessive force when he deployed the K9 in an attempt to apprehend Noel Saldana when officers responded to a call about a domestic dispute in 2010. The judge also said that the city of Lakewood and the Lakewood Police Department may be liable for failing to properly monitor and train the K9 dog team. The Lakewood PD K-9 involved in the lawsuit, named Astor, reportedly has a history of leaving civilians with serious injuries, regardless of whether they were abiding by the law or not. According to The Seattle Times, Astor has been the subject of four separate lawsuits over the past four years. The plaintiffs in those lawsuits all allege that they suffered “slashing” injuries similar to those of Noel Saldana’s. More specifically, news reports indicate that the Lakewood Police Department is under investigation for the amount of training and monitoring that is logged with each K-9, especially the one in this particular case. 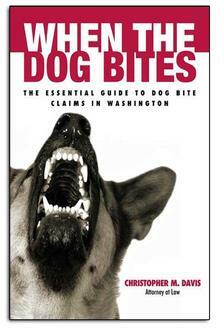 The Seattle Times conducted a review of data from the department on the last five years of dog bites in the greater Seattle area. The data showed that over that period of time, at least 17 individual people were attacked by police dogs in Western Washington alone. In total, the Times estimated that these attacks resulted in several Police Departments paying nearly $1 million in damages and several high profile law suits. Saldana was arrested on the day of the incident with charges of felony burglary and booked into jail after he was released from the hospital but was never charged with a crime. Syler and Astor have continued to work together as a K-9 team for the Lakewood police. The lawsuit states that Saldana lives with permanent physical damage that have rendered him disabled as a result of the police dog attack. Saldana was reportedly hospitalized for a total of 10 days following the incident and has undergone three individual surgeries for the injuries he sustained, and news reports suggest he will walk with a limp forever. Saldana’s surgery stated in the deposition that he has treated over 500 bite wounds and his was the worst he has ever encountered from any animal, including bear attacks. To contend for the case to go to trial, Saldana’s lawyer said Lakewood had been put on notice that Astor had inflicted serious lifelong damages to parties involved in his incidents following orders of his superior. The “bite and hold” training provided by the Lakewood police and other U.S. law-enforcement agencies, has been put under investigation due to this case. In seeking to have the lawsuit dismissed, the city of Lakewood investigated the training that Syler and Astor had completed together. Syler is an assistant trainer of the Washington State Police Canine Association, and a report was written and submitted for review by Syler’s supervisors every time Astor was used to seize a suspect. Judge Leighton, in his ruling, stated the evidence provided by Saldana could allow a jury to find the city of Lakewood had in fact violated Saldana’s constitutional protection opposing unreasonable seizure. Lakewood failed to track the behavior of Astor or to do anything about the amount of incident he had been involved in.